Department of Botany, ICG, The IIS University, Jaipur - 302020, Rajasthan, India. ABSTRACT: Cyamopsis tetragonoloba is widely used by people and is found to have multiple medicinal utilities. Four (chloroform, ethyl acetate, methanolic and aqueous) extracts of Cyamopsis tetragonoloba fruit were therefore, analysed by Gas Liquid Chromatography and Mass Spectrometry analysis to assess their phytochemical constituents. The chloroform extract of Cyamopsis tetragonoloba fruits showed the presence of thirty one phytochemical constituents of which the major phytochemical compounds were Tetracontane and Stigmasterol. The ethyl acetate extract of Cyamopsis tetragonoloba fruit showed the presence of fifty phytochemical constituents. The important phytochemical compounds were stigmasterol and 4-tert-butylcalix  arene. Thirty eight phytochemicals were reported in the methanolic extract. The most important ones in term of peak area and retention time were mome inositol and 7-tetradecenal (Z). Mome inositol and 10, 12- Hexadecadien-1-ol was the primary components in a total of 30 phytochemicals obtained from the aqueous extract. INTRODUCTION: For thousands of years, medicine apparently depended exclusively on leaves, flowers and barks of plants because they consist of a wide variety of chemical compounds that offer a promising source of new drugs. 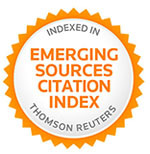 The use and search for drugs and food supplements obtained from natural sources like plant extracts have increased in recent years 1. Records show that even today 80% of the world population depends on herbal traditional medicine for their primary health care. We know that plants produce chemicals to protect themselves but recent research demonstrates that they can also protect humans against diseases 2. Plants products are used for curing various diseases in developing countries because they are considered safer and better than synthetic drugs that create problems like side effects and carcinogenic effect 3. The use of guar as a traditional plant for food and fodder has a long history. The resource base also suggests medicinal value of this plant in rural and tribal villages of India and abroad. In India, it is grown in Rajasthan, Gujarat, Haryana, Punjab, Uttar Pradesh, Madhya Pradesh and Orissa 4. Many people in arid and semi arid region of our country are dependent directly or indirectly on the production of guar. In this modern age where a large number of people have seen diagnosed with life style disorders such as high blood pressure, cholesterol level and diabetes, Guar may play an important role for the alteration of symptoms related to these disease. Cyamopsis tetragonoloba is a rich source of secondary metabolites with known significant pharmacological effects. Guar gum which is a mucilaginous polysaccharide or the galactomannan layer of guar seeds have hypoglycemic, hypolipidemic and hypocholesterolemic effect on serum biochemical profile of human and non-human primates reducing total serum cholesterol, triglycerides, cardio vascular risk and increasing the high density lipoprotein cholesterol level and management of glycemic indices. This is because of its rich phytochemical profile like flavanoids- kaempferol, phenolic compounds- sinapic acid, chlorogenic acid, gallic acid, caffeic acid, ellagic acid, steroids- inositol, ethyl α-D glucopyranoside, stigmasterol and some amino acids like glutamine, arginine, aspartic acid and leucine. Guar is also used as a home remedy for the treatment of gastric problems, abdominal discomfort, asthma and inflammation; as laxative and as appetite depressor. It also used as an emulsifier, thickener and stabilizer in wide range of food and industrial applications. Guar can be highly regarded as crop of the future because of its nutritional, chemical and medicinal properties 5. The objective of the present study is to identify the phytochemical constituents of four different extract of Cyamopsis tetragonoloba fruit using GC-MS analysis. Collection of Plant Material: The fruits of M83 variety (notification number 22/11/1991-740 (E) of Cyamopsis tetragonoloba were collected from Rajasthan Agriculture Research Institute, Durgapura, Jaipur, India in the year 2014. The herbarium specimen was deposited in University for further reference. Preparation of Powder and Extract: Cyamopsis tetragonoloba fruits were shade dried and washed in tap water and pulverized to fine powder in a mechanical grinder. The powder of Cyamopsis tetragonoloba fruit was extracted successively in the ratio of 1:10 (20 g of dry powder: 200 ml of solvent) in each of extracts viz. chloroform, ethyl acetate, methanol and water by Soxhlet extraction for relevant periods of time. All the extracts were concentrated to dryness in the oven. All the extracts were stored in a container for further GC-MS analysis. 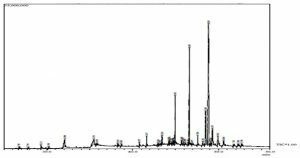 Gas Chromatography - Mass Spectrometry: The GC-MS analysis of selected sample was performed with Shimadzu GC-MS - QP2010 Ultra. Identification of compounds was conducted using the database of NIST08, WILEY8 and FAME Libraries. Mass spectrum of individual unknown compound was compared with the known compounds stored in the software database Libraries. The name, molecular weight and structure of the compounds of the test materials were insured. RESULTS AND DISCUSSIONS: Gas chromatography mass spectrometry (GC-MS) is a method that blends the features of Gas Liquid Chromatography and Mass Spectrometry to identify diverse components within a test sample. Applications of GC-MS include explosives probe, environmental analysis, drug detection and identification of unknown samples. GC-MS methods proved to be very effective and sensitive for the separation and detection of complex mixtures of phytoconstituents. 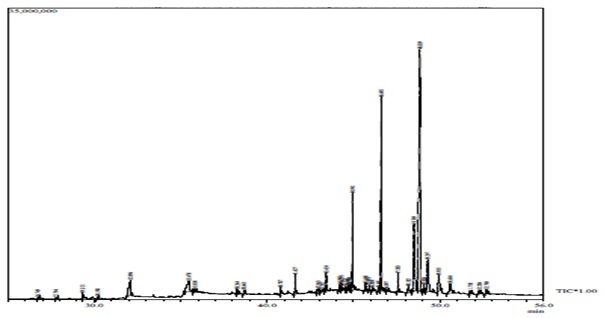 GC-MS Chromatogram of the chloroform extract of Cyamopsis tetragonoloba fruit Fig. 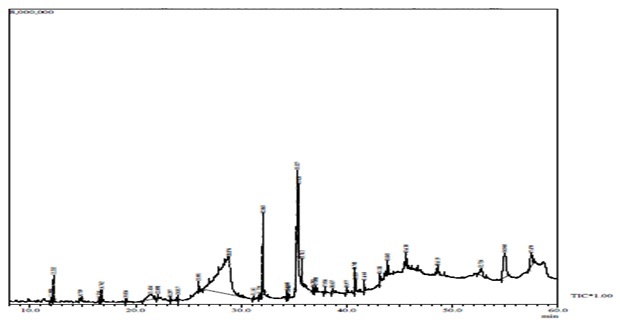 1 showed 31 peaks indicating presence of thirty one phytochemical constituents. 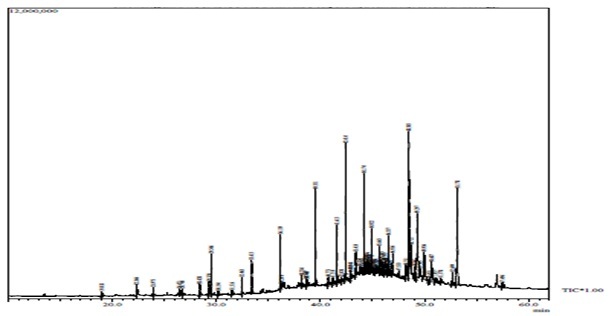 On comparison of the mass spectra of the constituents with the NIST08, WILET8 and FAME libraries the thirty one phytoconstituents were characterized and identified Table 1. The major phytochemical constituents were Tetracontane and Stigmasterol. The ethyl acetate extract of Cyamopsis tetragonoloba fruit Fig. 2 showed 50 peaks indicating the presence of all fifty phytochemical constituents. On comparison of mass spectra, fifty phytoconstituents were characterized and identified Table 2. The major phytochemical constituents are stigmasterol and 4-tert-butylcalix  arene. The methanolic extract of Cyamopsis tetragonoloba fruit Fig. 3 showed 38 peaks indicating the presence of thirty eight phytochemical constituents. On comparison of mass spectra, thirty eight phytoconstituents were characterized and identified Table 3. 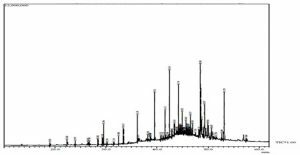 The major phytochemical constituents isolated were mome inositol and 7-tetradecenal, (Z). The aqueous extract of Cyamopsis tetragonoloba fruit Fig. 4 showed 30 peaks indicating the presence of thirty phytochemical constituents. On comparison of mass spectra, thirty phytoconstituents were characterized and identify Table 4. The major phytochemical constituents in this sample were 10, 12- Hexadecadien-1-ol and Mome inositol. CONCLUSION: GC-MS analysis is the primary step towards understanding the nature of bioactive compounds of plant and this type of analysis will be helpful for further elaborated study. GC-MS analysis of phytochemicals in Cyamopsis tetragonoloba gives a clear image of its pharmaceutical properties because here, we are able to identify some of secondary metabolites that were present in high amounts than others. tetracontane, stigmasterol, 4, Tert butylcalix arene, mome inositol, 7 tetradecenal and 10, 12 Hexadecadien-1-ol that are repeatedly present in the plant extracts and have reported hypoglycemic, hycholesterolemic, antioxidant, anticancerous and thyroid inhibiting properties. ACKNOWLEDGEMENT: I would like to thank my family, my supervisor and the management of The IIS University, Jaipur for their support and guidance. Tiwari R and Rana CS: Plant secondary metabolites: a review. Inter. J. of Engineering Res. and General Science 2015; 3(5): 661-670. 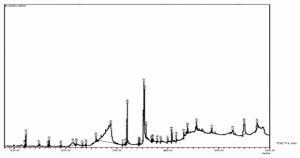 Benmehdi H, Hasnaoui O, Benali O and Sahli F: Phytochemical investigation of leaves and fruits extract of Chamaerops humilis L. J Mater Environ 2012; 3: 320-327. Chuarasia S and Saxena R: Antimicrobial activity of four different varieties of green beans. Res. J. Phar. Bio Che. Scie 2012; 3(3): 70-74. Singh S and Devi B: Cyamopsis tetragonoloba (L). Taub. A Phyto- Pharmacological Review. Inter. J. of Pharmacy and Pharmeaceutical Res 2016; 7(4): 165-174. Tripathi P and Pandey R: Phytochemical screening of guar (Cyamopsis tetragonoloba) seeds extract. Inter. J. of Applied Res 2016; 2(10): 98-100. Jain PK and Rijhwani S: Comparative GC-MS analysis of Cyamopsis tetragonoloba fruit extracts. 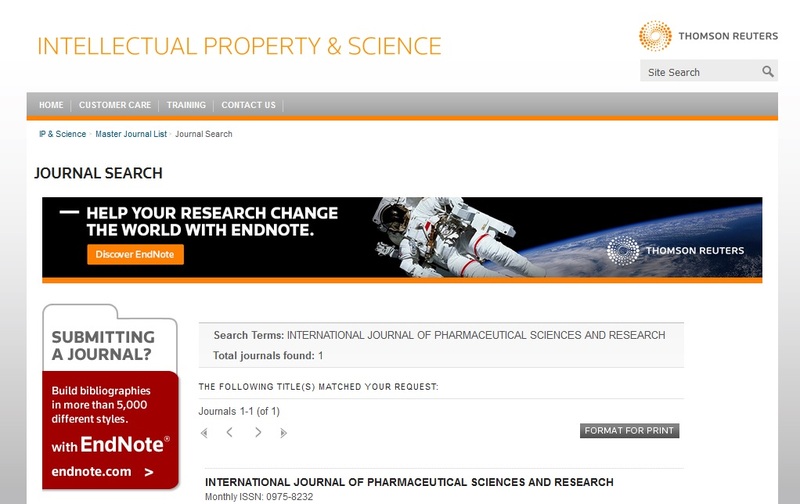 Int J Pharm Sci & Res 2018; 9(10): 4236-42. doi: 10.13040/IJPSR.0975-8232.9(10).4236-42.